I hope you all had a beautiful Sunday! Yesterday was the art show and I did fairly well with some sales so I didn’t walk away disappointed. Yesterday I missed having a blog so hoping to bring you two today. We had some good friends over for dinner and we made empanadas so I took the opportunity after a long day at the art show to be with my family, learn how to make empanadas, and be in good cheer! Sometimes you have to set things aside for the more important moments in life. Today I thought I would share some great holiday inspiration that I gathered from Pinterest to get yourself in the best Christmas cheer since it’s the last Monday before CHRISTMAS! 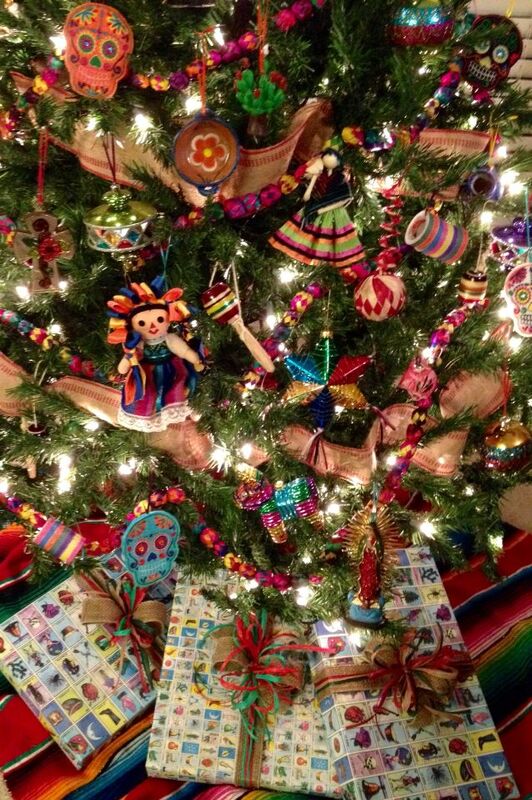 However, since I live in Mexico I wanted to share all of the things that inspire me this Christmas which is a lot of color, warmth, culture, and spice! Follow me on Pinterest, username mariahcassandra, I’m probably the only girl that doesn’t have a wedding board.